Russian Winter Ball in London. The 2nd Russian Winter Ball will take place at the beautiful and historic Drapers Hall on Feb.18 2017. 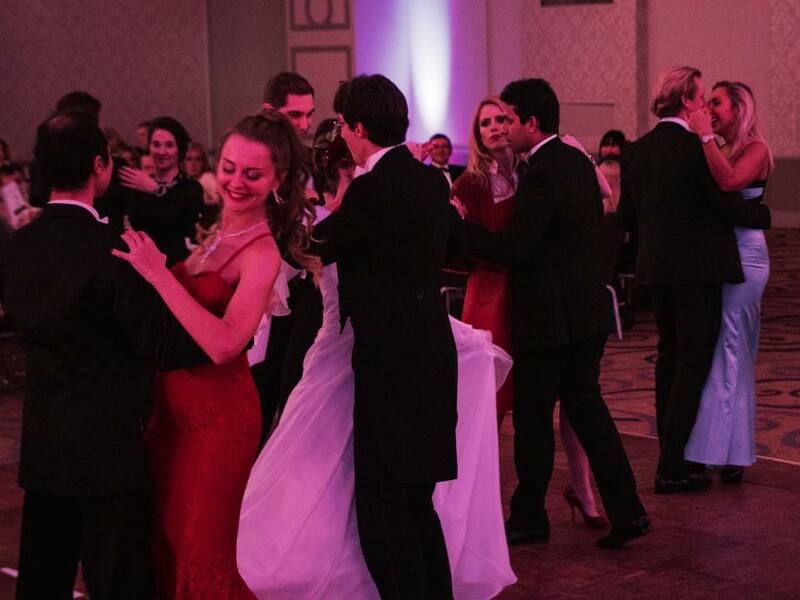 The theme of this year's ball is LOVE in every shape and form, we link our significant social event to the celebration of the St. Valentine's day, as it falls on that very same weekend. Cupids, Anna Kareninas, Onegins and others are all welcome, each guest with a themed costume gets a compliment from the host! The charity partner for the evening is Big Hearts Foundation, a UK registered NGO that improves animal welfare in Russia. 7.00 pm - Sparkling wine reception. Performances by Mazaika Duo, balalaika player Bibs Ekkel, ballroom dancers Martin and Martina Burton, opera singers and pianists. 9.30 pm - Dancing to Mazaika Dance Band performing Viennese and Russian waltzes, standard ballroom, Russian folk, gypsy and popular songs.